Media Production coursework, tasks and stuff.. I decided to start a Tumblr Blog for the work done in university(on the course as well as on my own). I think it’s a good way to collect and share my work. This blog also includes a link to my personal blog which features “Things I Like” as well as inspirational/motivating blog posts from other tumblr users. This entry was posted in Uncategorized on February 23, 2013 by maselkok. I’m not a frequent user of social networking sites and I try to keep my online identity at a minimum(e.g. I sent emails to websites like MySpace etc. to completely delete my data because it was one of the top hits on google and I was unable to access the account anyway). This is why I was a bit worried about this task. Overall I think I’m doing alright. The first thing I was thinking about is the name for my logo. Should I use my own, full name, should I think of something new, a combination of the two? I experimented with few combinations but as of now I settled for K M Productions. I take my inspiration(and often motivation) from images and videos I see on the web(often Tumblr). The first image that got me inspired was of a white wolf with really blue/white eyes(link). It wasn’t necessarily the wolf itself but the eyes. I liked the intensity as well as the unusual colour and shape of the retinas. At that stage I used Konrad Maselko as my Production name(with the initials being much bigger). I like the colours however I do not feel the intensity in it. I added the edge effect to make it look more realistic as well as possibly create a feeling of change, uncertainty or chaos which could all be expected from a new production company… After some thinking I realised that this logo was not suited for a production company, or more precisely – myself. I didn’t like the fact that it’s purely made in photoshop and so it doesn’t look very natural. I want my logo to look authentic and I often prefer the making of something than the final product. This inspired me to experiment with photography. I wanted to take a picture of an eye or something that could potentially look like one. Because of some basic knowledge of how fluids work I experimented with ink droplets in a bowl of milk. The milk gave me the contrast I wanted as well as a really cool effect that can be achieved by adding a few droplets of hand wash which attaches itself to water and fat molecules found in milk. I took pictures and after some light processing in photoshop I had a few interesting images. I created a few mock up logos using those images however I wasn’t completely happy with them. This is also when I decided to change the format of the the picture to be more rectangular, like a banner. I did this using one of my favourite pictures from “the shoot” however I was still unsatisfied with the look of the logo. I changed the name from simply Konrad Maselko to MAS Media/Productions which came from my surname as well as the fact that it could be read as mass media. I thought this would give the name a nice ring to it and be a bitt ironic when read as mass media because I do not necessarily intend to create content for the masses. I gave up on the idea and went back to my name. My next photography experiment involved taking pictures of actual eyes using a manual 50mm macro lens borrowed from the media loan shop. I edited the eye so it’s completely black. I like the idea of mystery, darkness and not knowing what the image actually represents. I thought that it would be a good metaphor for my early work. I’m young and new to the industry which means that I will be experimenting with my film production, I don’t know what my films turn out to be like and therefore I don’t want to brand myself as something easy to interpret and obvious. This entry was posted in Uncategorized on February 19, 2013 by maselkok. As a group we have many ideas for our documentary and we are developing them all. There are three ideas to choose from and now it all depends on the location permits. 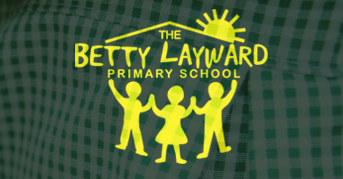 I have sent an email to the headteacher of Betty Layward Primary School where my mother works but I have not received a reply yet. I was thinking of the interview starting this way and then morphing into Dorota’s face as she is interviewed, however its all up for discussion. This entry was posted in 160 MC - T2 on February 14, 2013 by maselkok. After writing the treatment I started writing my script. I chose the alternative set of events because I thought of it as more probable and mysterious. The first version was too much like Final Destination or it could lead into the Becky being delusional about her husband. Either way I thought that it would be too complicated to portray it properly in a short film. I chose to leave a few things missing giving clues to what might happen but not saying that they will. A few loose ends that might intrigue the audience such as the newspaper or the different mugs. This entry was posted in 162MC on February 5, 2013 by maselkok. On February the first we had a whole day of watching poetry videos made by the whole class. It was a long day, full of sad, inspiring, motivating, eye opening poetic short videos with many important subjects which ranged from war and cruelty to environment and being a teenager. I think my video was not bad comparing it to the other ones. Unfortunately I had troubles with sound. It was definitely too quiet for a viewing in a classroom. Note to self: preview videos before showing them in class/edit sound during the day, without headphones on. I was also told that I used quite strong imagery which was good because my subject is still difficult to think about but I should have used a different image for my last shot. I agree with that because out of all the footage that I used, my last shot was not as shocking as it could have been. I was suggested to use an image of kids, standing in two rows, waiting to be used as a medical experiment. I think that this image would be stronger as the final image. This entry was posted in 160 MC - T2 on February 4, 2013 by maselkok. As they give out their last breath. This entry was posted in 160 MC - T2 on January 31, 2013 by maselkok. One of the many advantages of living in London is the possibility to go any gallery or a museum for free and soak in inspiration, opinions or simply “pretty pictures”. Last week I went to the Wellcome Collection which is a gallery featuring many exhibitions for the “incurably curious”. Unfortunately I wasn’t able to take any pictures however I took some notes and I might attach some images from the world wide web. This entry was posted in PDP on January 26, 2013 by maselkok.